Look out, Londoners! Your commute just got a lot more lively. Visitors to London’s Waterloo Station have felt their inner child awoken this week, as a nostalgic icon has reared its puffy head and helped to spread a lot of excitement in its wake. 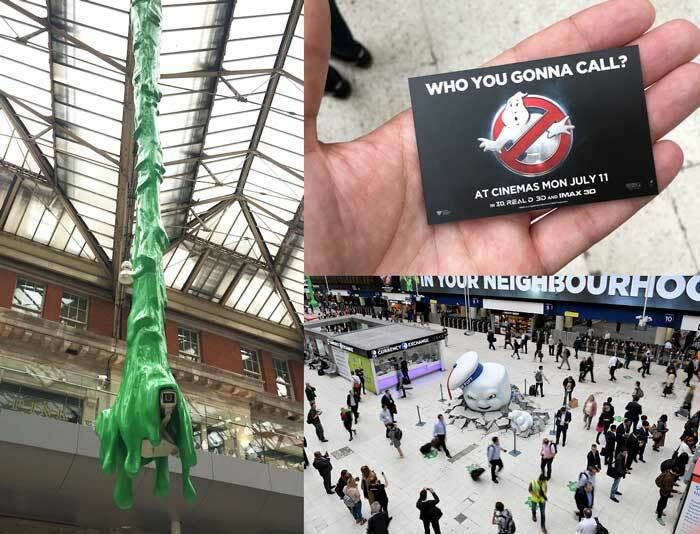 To celebrate yesterday’s UK release of the new Ghostbusters movie reboot, the loveable if terrifying Stay Puft Marshmallow Man smashed into the station, accompanied by swathes of green slime, ‘Who you gonna call?’ business cards, and even a themed pop-up Forbidden Planet booth. 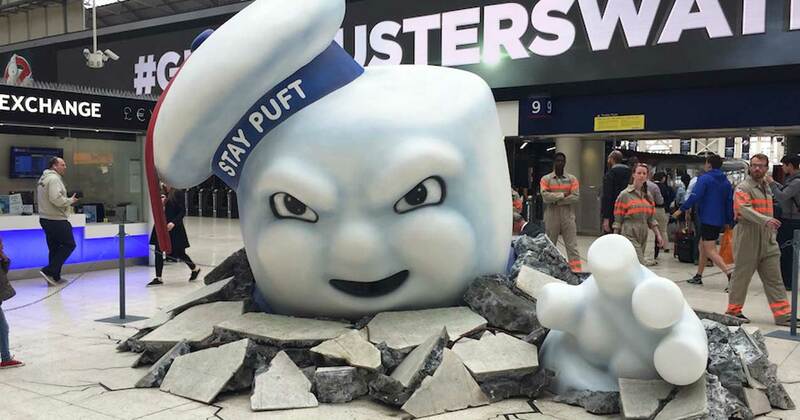 So head down to Waterloo Station to take your selfie with the Stay Puft Marshmallow Man and the rest of the Ghostbusters fun. Ghostbusters is in cinemas across the UK now. These upcoming films all started their lives elsewhere – from a cheesy television series to a cult classic – but as a wise woman once said, revivals are the new black. Each of these series and films have retained a fan following throughout the years which has been duly noted by Hollywood execs. Playing to our nostalgic needs, these 80s and 90s classics have been in the repair shop for some much needed updating and will be hitting our screens after a lick of paint from this summer onwards. Just hearing those dramatic opening drum beats can take you straight back to the skimpy 80s swimsuits of Baywatch. Forever and always, they’re always here for you. 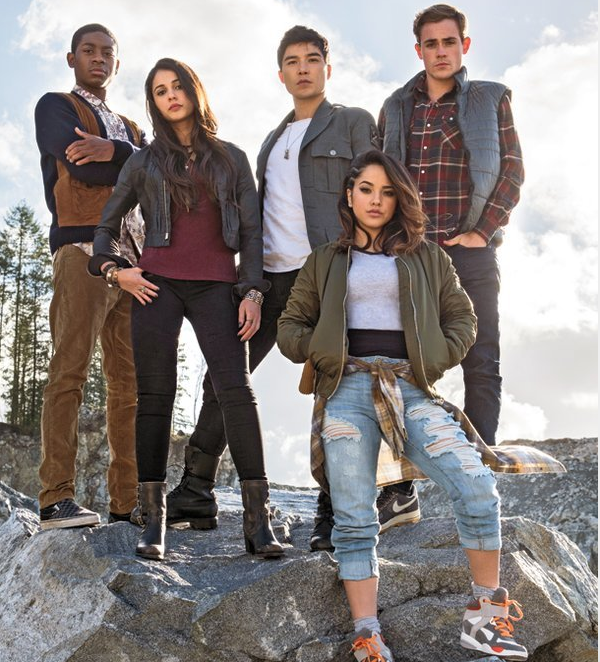 Luckily, they’re also planning on making the leap to the big screen. With a cast list featuring Dwayne Johnson, Zac Efron, Priyanka Chopra and Kelly Rohrbach we’re not even sure they need a storyline – we have a feeling this cast could’ve been chosen on head shots alone. 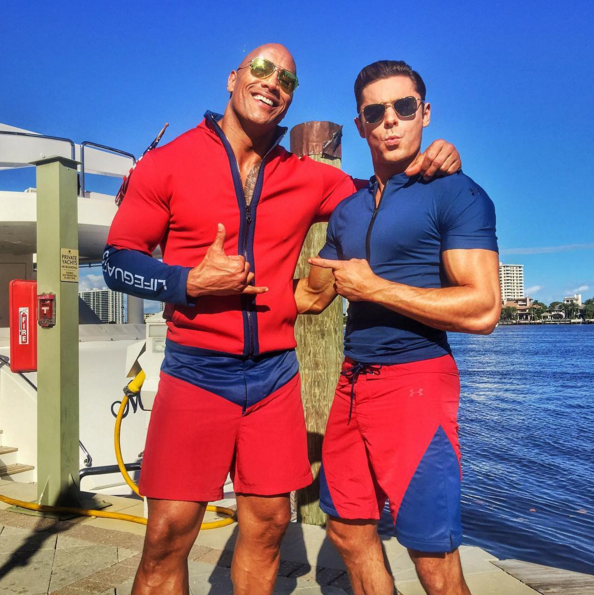 Nevertheless, the film will follow the likes of 21 Jump Street as an R-rated buddy movie with Efron and Johnson teaming up to save their beloved beach from an oil tycoon. Fans of the original series can rest easy knowing that The Hoff himself has confirmed he will make an appearance. The film is set to be released on 19 May 2017. When you read that Elizabeth Banks is the baddie, you know it’s going to be good. Taking on this classic 90s television series are a team of writers with X-Men and Thor in their credits, hopefully ensuring this will be the epic production it deserves to be. Five relatively unknown actors have been cast in the ranger roles but Elizabeth Banks takes the spotlight with her part as Rita Repulsa – the evil humanoid alien witch and archenemy of the rangers. The film will be released on 24 March 2017. 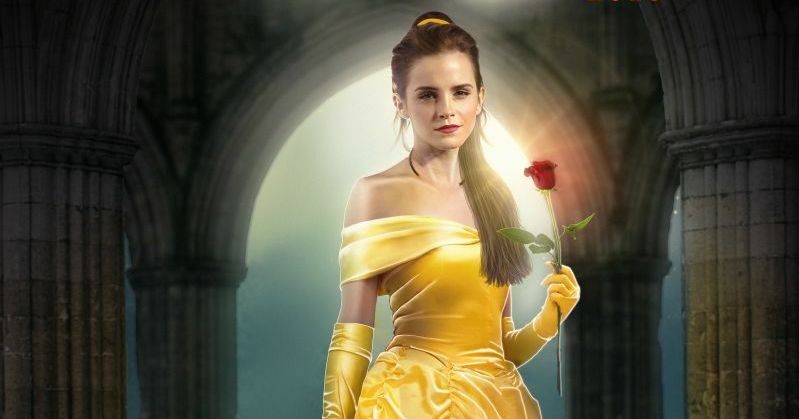 Emma Watson leads this unbelievable cast in Disney’s live action remake of the classic Stockholm Syndrome fairytale. Supporting Watson is Dan Stevens (The Beast), Luke Evans (Gaston), Emma Thompson (Mrs. Potts), Ewan McGregor (Lumière), Ian McKellen (Cogsworth) and Stanley Tucci in a new role as grand piano, Cadenza. Filming wrapped in August 2015 and the film has a release date set for 17 March 2017. Something to whet your appetite a little earlier, Ghostbusters will be hitting screens this summer (15 July 2016). Bridesmaids’ director Paul Feig is at the helm of this all-female demon-hunting team, which consists of Kristen Wiig, Melissa McCarthy, Kate McKinnon and Leslie Jones. Whilst the trailer has received a lot of negative attention, we’re holding out hope that these ladies will be who we’re gonna call for a quality viewing experience at the cinema. We were beside ourselves with laughter when we learned that Hollywood hunk Chris Hemsworth was set to play a receptionist in Paul Feig’s upcoming Ghostbusters reboot. Our excitement now builds, as the first on-set photograph of Hemsworth in costume as ‘Kevin’ has been published. The picture seems to reveal that Kevin the receptionist won’t be chained to his desk, but might be getting out to participate in the ghost-busting himself. The Thor star will join Melissa McCarthy, Kristen Wiig, Kate McKinnon and Leslie Jones in the female-led comedy, which is set to hit theatres on July 15th, 2016. Rumour has it that Hemsworth may also be joined by Ghostbusters legend Bill Murray, who was recently spotted near the Boston set of the new film. We shall have to wait and see! Stay tuned for more Ghostbusters news in the months to come.